It’s been a while since we chose some countdowns from Twitter. A lot of you have been posting a few notifications and timelines of your events. We really do enjoy seeing your countdowns and talking about them. Read on to find out more. If you are not familiar with our user inspired posts then here is a little catch up on what happens in these posts. We pick 2 amazing countdowns from Twitter or Instagram and give you a little more info on the countdown itself. If it is a countdown to say Ed Sheeran, we give you some news on him and if there are still some tickets left or if it’s a holiday some great tips on where to go and what to see and when to go. Right so first up is, @stephlouise24 who saw Ed Sheeran this year on March 10th. If you don’t know about who is then here is a brief description of who he is. He is a male singer/songwriter from Framlingham, Suffolk. He has had huge success ever since he released his first album called “The A-Team” which comes from his first album + which went on to be certified seven-times platinum in the UK. Evey album since it’s released has won countless awards such as the Ivor Novello Award. You might best know him for his latest songs “Shape of You” and “Castle on the Hill” which are part of the ÷. So if you aren’t aware Ed Sheeran has been coming back strong since last year with the release of his Divide album, he also released tickets last year for his 2018 tour. Ever since his year-long hiatus he has been releasing new music and was busy touring for most of 2017 and doing the rounds of the festival circuit too. As of the past couple of years, his tours tend to sell out fast. Unfortunately, you cannot get any tickets for his 2018 tour anymore. Apart from that, from what we have heard in the past he is someone who is amazing to see live, so if you were one of the lucky ones who got themselves tickets then you should be in for a real treat. Next up is @fluffysoftlouis who is off to see Harry Styles in one month’s time. If you weren’t aware Harry Styles along with a lot of old One Direction boys has been pursuing a solo career and releasing music throughout 2017-2018. Shortly after he released new music he decided to go on tour. This is his first ever solo tour so will be interesting to see how he performs alone on stage without the One Direction boys. So far, we hear good things about this tour and along with new material, he has been performing some classic One Direction songs too. Sign of the Times was his first solo track and managed to rack up 88 Million views on the music video on YouTube. It managed to get to No.1 here in the UK. His album Harry Styles managed to reach No.1 in the UK and the US which is amazing. He truly is having global success. Unfortunately, he has sold out for most of his tour, we did some digging around ourselves and you can get tickets but it’s very rare and the seats won’t be as good so maybe expect to travel further for tickets. 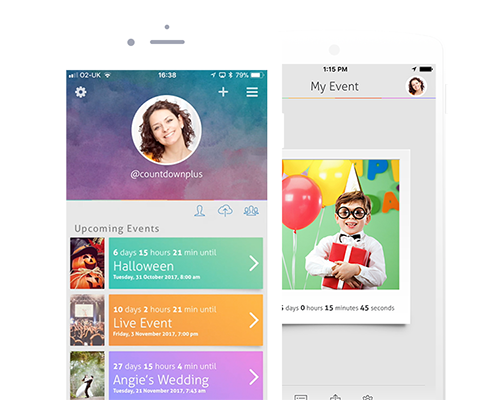 Keep track of your favorite events.